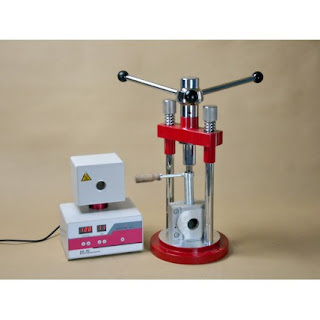 When it comes to processing the dentures we as with most dental laboratories across the world use the conventional way of processing, namely, Flask and Pack and Press. Due to the growing private market, coupled with higher patient expectations, as a laboratory owner I was aware that although this time age system does work perfectly well in most instances, there were issues, i.e. : the risk of an open bite through over packing or not closing the flask adequately being one. I felt it was an issue we needed to address, to ensure the predictable results required. Below I have listed a shortened version without all the small details of the process using the denture injection system. The flasks have a cutaway shape into which a ‘plastic space maintainer’ is fitted, this will later be replaced with an ‘injection socket’. The base of the flask into which the waxed up denture is set, has a small hole that requires covering with wet tissue, this aids the deflasking process. Other than that the investing process for the denture is quit conventional. During investing, a wax sprue is attached that must not be more than 7mm in diameter, one to the posterior edge for upper dentures and one to each posterior border of lower dentures in a ‘Y’ shape. After applying a separator I use a silicon insulating material such as Flexistone Plus by Detax, to coverthe buccal surface of the denture up to the occlusal or incisal surface this produces a very clean and smooth surface which requires minimum finishing. I was already aware that there were several advantages to be gained by using an injection system. •Greater accuracy of the fit surface. •Assured vertical dimension, due to the closed flask employed in the process. 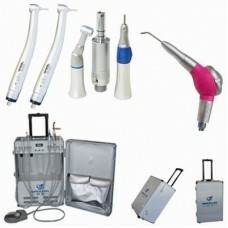 •Increase in the density of the dentist equipment for sale; this increase should also enhance them of the denture base. It was sometimes difficult to acquire all the technical information I needed to make the right decisions. Obviously all the manufacturers want to sell their system so they may not have been always open about all the Pro’s and the Con’s of their particular systems. All of the systems on the market that I looked at required the use of special flasks for investing stage, however most were quite straight forward using plaster in the convention way to create a two part mould. I slowly narrowed down my list of available systems and at this stage approached the one manufacturer whose system I thought looked most promising.